Book your transfer with Red Air Tours & Transfers on our Airport Shuttle Bus service today! At Red Air Tours & Transfers our Airport Shuttle Bus service is available for transfers between Brisbane Airport, and 61 locations across Australia. The Airport Shuttle Bus service aboard Red Air Tours & Transfers is an affordable on-demand door-to-door shuttle service. Your vehicle will be shared with others and will make stops for passengers travelling nearby. Your pick-up and travel time is flexible and will be adjusted to suit all passengers travelling together while making sure everyone gets to their destination on time. Our Airport Shuttle Bus service is available 24 hours a day 7 days a week and can be booked up to 24 hours ahead of travel. At Red Air Tours & Transfers we offer fixed transfer fares starting from $72.00 AUD total one-way and with enough seat capacity for up to 12 passengers. Your final fare with us includes luggage allowance for 1 carry-on bag and 1 check-in bag per passenger. Also included in all our fares are airport parking fees, any tolls along the route and your drivers waiting time. Red Air Tours & Transfers is a transport company based in Australia and we have been a professional transport supplier on Jayride since July 2013. REDAIR is a small, family-owned business based on the Redcliffe Peninsula and offering friendly, professional and reliable airport and other travel transfers, charters and tours. REDAIR has Queensland Transport accreditation as a public passenger service and is a Brisbane Airport Corporation licensed operator. 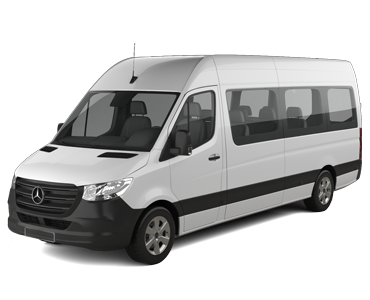 With a fleet of three vehicles including a 10-seater minibus with luggage compartment, 12-seater minibus with luggage trailer, and a 21-seater coach, REDAIR can cater for a range of individual and group transport needs at prices far cheaper than taxis or limousine services. We have proudly served Brisbane's Redcliffe Peninsula and northern suburbs for over 8 years. Your REDAIR experience starts when our friendly, award-winning office staff answer your enquiry or take your booking. Our smiling and helpful professional drivers promise a safe and stress-free trip to deliver you in plenty of time for your flight, train or cruise check-in. The driver was on time. Lovely clean car and very courteous driver. Arrived in plenty of time for my flight after a very comfortable and enjoyable ride. I would certainly use the service again and recommend it to others. Where did you find that driver!! Friendly and courteous, we felt very comfortable and safe with his driving. He helped us with our luggage (who even does that these days)...thank you. We will recommend you and certainly use you again. Oh and the price was very reasonable to. Our driver was very polite, helpful and on time. A comfortable ride to the airport and we appreciated the driver's help with our luggage.